With everything in our country modernising and metamorphosing, Indian weddings are certainly are not far behind. From what we’ve noticed, theme based weddings seem to be all the rage and every couple seems to be thinking of some fun and great ideas that would make their big day all the more memorable. And what better way to do that than with the power of The Great Internet. If you’re one of those couples who’re browsing through cyberspace, looking for some wedding-worthy ideas, then look no further. 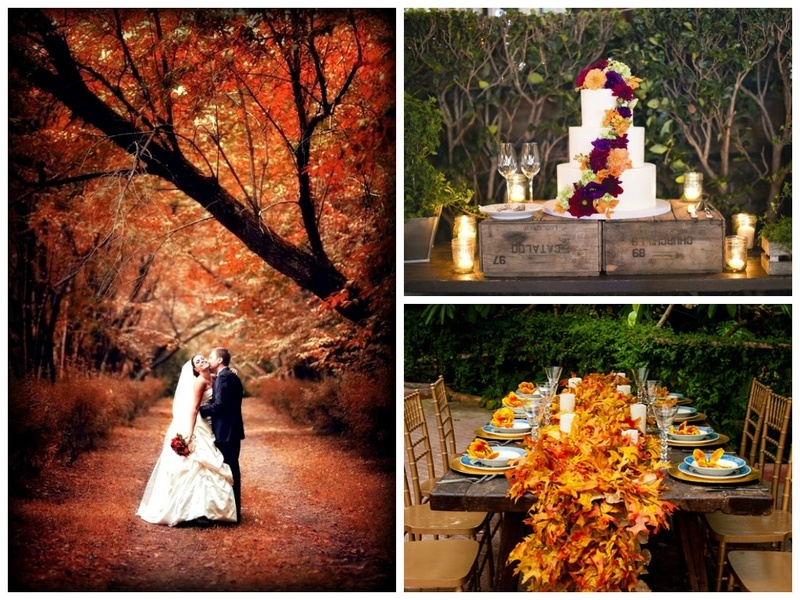 What we have for you today are some amazing ideas and tips on how to incorporate this season’s colours, characteristics and charisma into making your perfect autumn themed wedding. The warm tones, the rustic aura and the flowered ambience will certainly set the mood just right for your wedding day. Check out below visuals for a detailed idea! Start with a creative bang! Warm, floral notes certainly add a charm of its own. Too pretty to even eat, maybe?! Your autumn-inspired wedding outfit will certainly get more than just second glances! A whimsical touch to preserving your best memories! Your guests will always remember your too-pretty-to-be-real wedding day.